Unity in the Community is a non-profit 501c3 organization it's mission is to promote unity through culture, diversity, inclusive, free, fun, family events. These events include culture diverse artist & crafters vendors and educational activities that help youth develop new skills, regardless of their race or nationality. 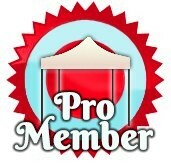 Find other members in this category "Artist-Crafter", or "Entertainment Services", or "Festival/Event/Show"
this member, Unity in the Community, Inc or FestivalNet ?